The VM-80V is a high-performance distribution amplifier for composite or SDI signals. It can also be configured as a 1:4 DA for s-Video (Y/C) signals and has controls to compensate for signal losses inherent in long cable runs. High Bandwidth - 330MHz (-3dB). 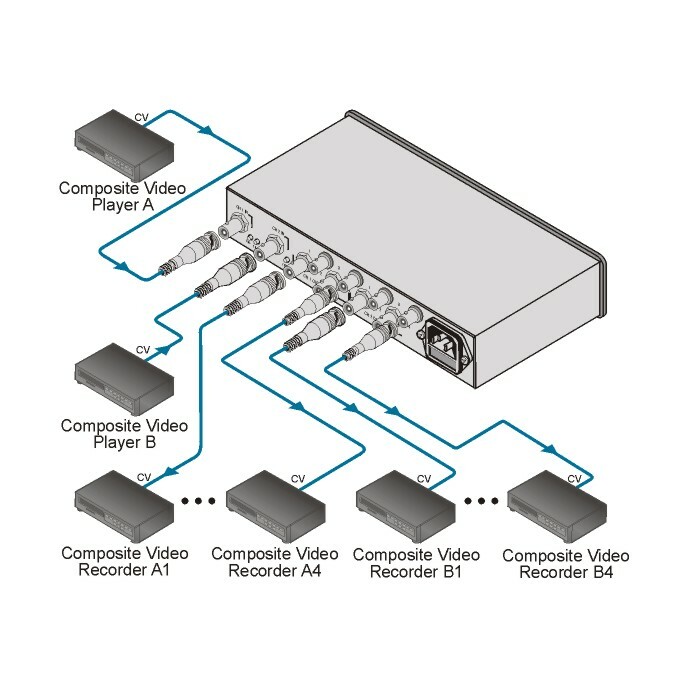 Dual-Mode - Configure as either a 1:8 (composite) or 1:4 (s-Video) DA. Video AC/DC Coupling - Internally selectable. Companion Unit to the VM-80A Audio DA.